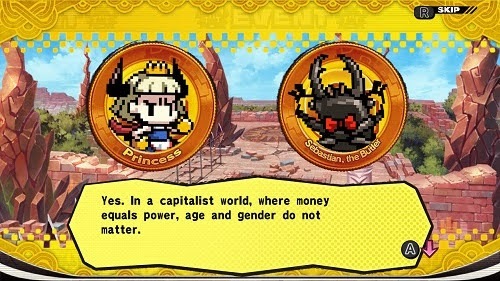 It’s all about the money, money, money In Penny Punching Princess, Nippon Ichi’s newest title to be brought to the western market. Out in the EU tomorrow for £39.99, with the US following next week, you might be able buy your friends and you might be able to buy your enemies, but the real question is, will you buy this game? Once upon a time there was a world where strength and brawn were the predominant characteristics of a civilization, where tyrannical leaders ruled with an iron fist and heroes arose to defeat evil with nothing but will, determination and a big sword to carry them forward. That world is no more. Shifted into the future by the power of capitalism, it is now a place where money is power, cash is king (or queen) and where anyone, no matter how weak or feeble, can simply buy their way to victory by greasing enough palms. Coming across as more of a satirical jibe at the pitfalls of placing faith entirely in the power of the Almighty Dollar, the story finds our Princess, followed faithfully by her beetle butler Sebastian, fighting her way through mobs of hired monsters as she attempts to seek vengeance for downfall of her tyrannical father, and the royal heritage robbed from her, by taking on the mighty Dragoloan monster family. 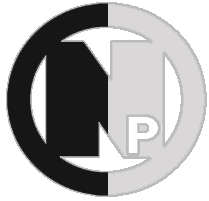 If you are familiar with Nippon Ichi Software’s back catalog then you will already be well versed in the development house’s love for the weird and wonderful when it comes to a game's narrative. With some of the story lost in translation and other parts just plain confusing, the plot is fun and quirky and will get you from A to B, even if you don’t really understand half of who, what and why. Initially, you may get the feeling that characters and settings are fairly throwaway, but as the game progresses much more of the games world and the Princess’ story is explained further while taking subtle jabs at the status quo in the process. The bulk of the gameplay for Penny Punching Princess takes place inside the game's maze-like top-down levels. Each stage tasks you with clearing the level of enemies, with each encounter fencing you in to keep combat tight and restrictive. Combat is made more difficult by floor traps getting restricting your movement and causing you damage while you dispatch your foes, but both enemies and traps can be used to your advantage, with a little the help from some money. The key tool in our main characters arsenal is her calculator, with this magical electronic device you can use the wealth obtained throughout each level to bribe enemies and traps to do your bidding. When bribing an enemy you to obtain a few charges of that enemy’s special attack, to be called on until depleted. Bribing traps allows you to take control of that specific pitfall, setting it off to damage the enemy when lured on top. Keep in mind though, only one enemy or trap skill can be held at any time, with bribing another simply discarding the previous one. Money is earnt by defeating enemies and opening the chests that you find dotted around each level, stunning the enemies and performing a ‘break’ allows you to extract further coinage by spinning the analog stick while they are in a trance, a mechanic that is paramount to earning some serious income. As well as playing as the princess, you are also eventually able to choose to take control of her zombie relative, Isabella. This secondary character possesses a more powerful attack and a different move set but unfortunately lacks the Princesses ability to bribe with the calculator. 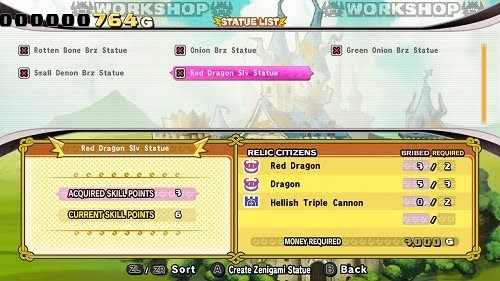 Unlike other RPG’s where you increase stats by gaining experience points to level up your character, Penny Punching Princess tasks you with obtaining statues of Zenigami, God of money. These can either be found in limited quantities in each stage or constructed through your workshop, with each statue gifting you with a different amount of skill points and requiring you to use a certain amount of your kingdoms citizens and spend your reserved cash to construct. Accumulated skill points can then be used to train your characters, raising their base stats and key skills as you would any in any RPG. Armour can also be created in the same way, increasing your attack and defense values, the amount of money you can carry at any one time and also includes one special attack that recharges after each use. The requirements for creating armor and statues are not revealed until at least one of each enemy required has become a citizen, giving you an incentive to bribe pretty much every type of enemy that you come across. The game features control schemes that allow the calculator mechanic to be used with either the touchscreen or using the controller. While the touch-screen is more intuitive when trying to type out a numerical value for a specific enemy in a cluttered battle, the controller does a better job of ensuring the screen does not get obstructed as much while playing in Handheld Mode and keeps gameplay consistent if you flip between Docked Mode and Handheld a lot. Attention to detail can be seen in every single graphical asset in the game. 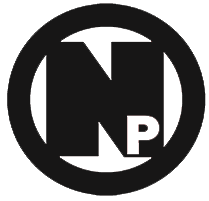 Much like many other NIS titles the game takes a mixed art styles approach with nicely animated, hard-edged retro-looking 2D sprites sitting proudly atop of a three-dimensional plane, creating that flat-3D effect. 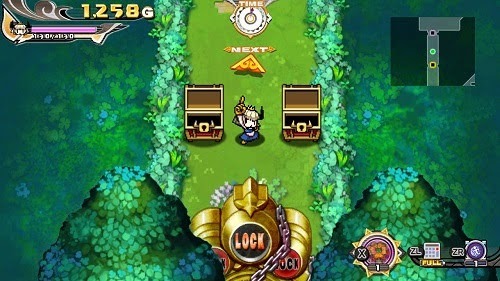 The level scenery and the trap-like relics that litter the playfield are displayed using a contrasting high definition 2D art style which sits nicely with the game’s crisp HD User Interface. All of these art styles working together in unison look fantastic and help the game stand out from the many pixel art style titles currently littering the Switch’s eShop. 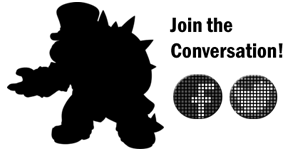 The game’s save/load screen is the only anomaly, with its plain 8-bit layout of white on black feeling like it may have been skipped over when finishing assets, though With so many different styles in use it’s difficult to if it was a deliberate choice or just plain forgotten about, playing in its favor somewhat. On the topic of saving and loading, the game doesn’t feature an autosave function at all, relying on you to ensure that you are saving at regular intervals so that large chunks of your progress aren’t completely lost if you need a break and decided to play a different game. In a title involving repeatedly grinding the same levels continuously to ensure that you have bribed enough enemies or relics for your next upgrade, it is easy to forget that while you may have not technically pushed the story forward for the last hour that you have actually made progress, and it’s not particularly an hour you want to be repeating when you accidentally turn the game off without saving (which by experience, can happen... several times). 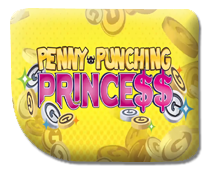 Penny Punching Princess is a marvellous title that, initially, is simple and streamlined enough to be accessible to those not well versed in Nippon Ichi Software’s unique blend of crazy gameplay and off the wall storytelling, while also containing enough subtle nuances in the gameplay mechanics and having copious amounts of upgrading your character through repetitive level grinding, that will appeal to even the most die-hard NIS fan. If Action/RPG dungeon crawling is your thing and you want a game that’s not necessarily going to have you micromanaging your character and their stats every 10 minutes, Penny Punching Princess is definitely for you.